Love classic and antique cars, street rods and cycles or have one to showcase? 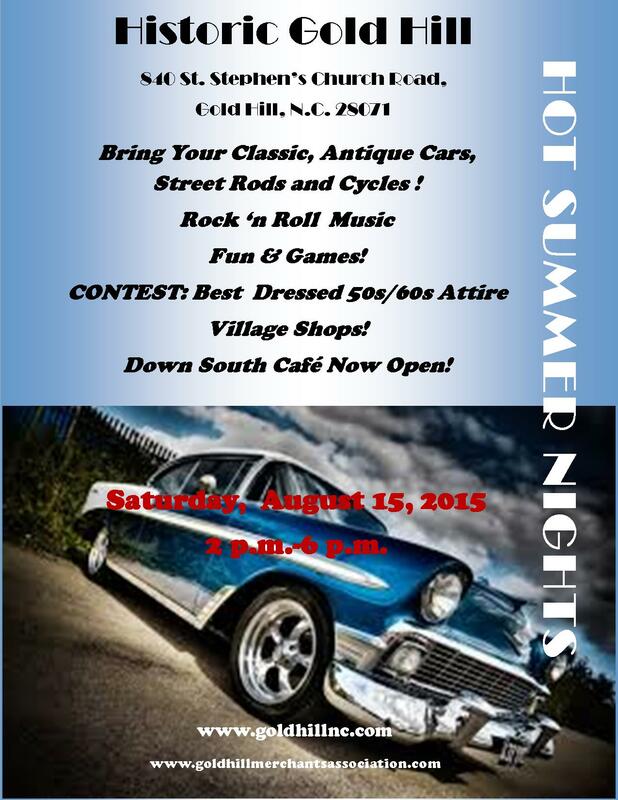 Then come on out to the Historic Village of Gold Hill for Hot Summer Nights Cruise In, Saturday, August 15th from 2p.m.-6 p.m.
Let DJ Gary Walter’s rock and roll music transport you back to the 50’s and 60’s while you enjoy the quaint historic village or win the Best Dressed 50’s/60’s Attire Costume contest. The village’s shops and the Down South Café will be open. Historic Gold Hill is located at 840 St. Stephen’s Church Road, Gold Hill, NC 28071. E-mail us with your questions at goldhillmerchantsassocation@gmail. 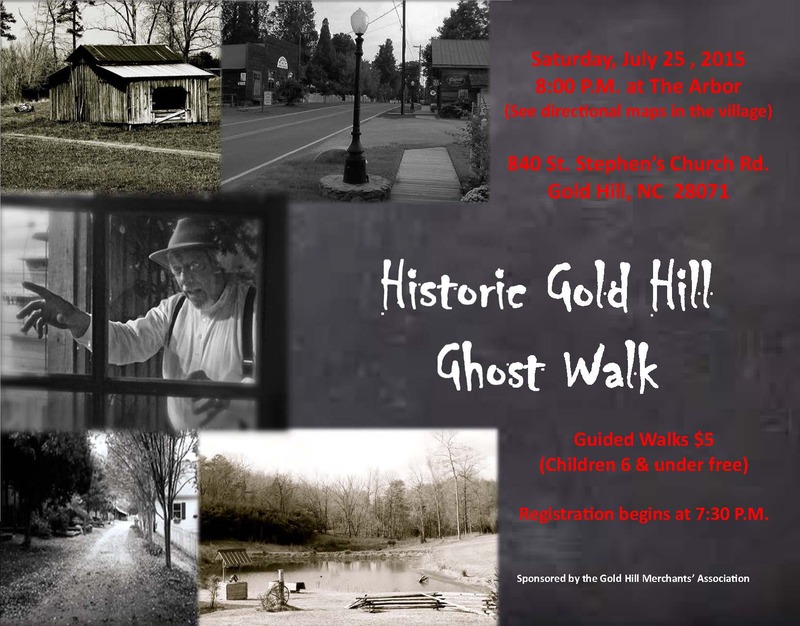 Local ghosts, goblins, haints and haunts are coming to the Historic Village of Gold Hill on Saturday, July 25th. Mark your calendar for the Gold Hill Ghost Walk for the scariest time of your life. Tickets are $5 and may be purchased at the Arbor in the Village on the day of the event. (Check the village map signs to find the Arbor location.) Children under 6 are free. Registration begins at 7:30 p.m., and guided walks begin at 8:00 p.m. This annual event is sponsored by the Gold Hill Merchants’ Association. You may contact the merchants at goldhillmerchantsassociation@gmail.com or check their website, http://www.goldhillnc.com.